This film, set in New Zealand, revolves around a rebellious girl named Kylie Bucknell, who commits a crime and is caught! Kylie tries to rob an ATM, but that goes sour and lands her in a place far more worse than jail--her family's home! She's forced to stay in her family's home under house arrest, under the unwavering eyes of her chatty mother. For eight months with a monitor strapped to her ankle, Kylie is prevented from leaving. 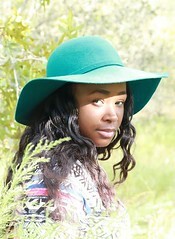 Amos, a local security guard, monitors her strapped on monitor and eventually becomes her ally. The early scenes in the film seem more like a comedy-drama, but once Kylie finds out that her mother thinks the house is haunted, Kylie gets even more aggravated with her. That all changes once Kylie starts to experience strange things in the house. Creepy sounds echo from shaky pipes, TVs switch on and off and there is even a talking teddy with an awesome outfit on. 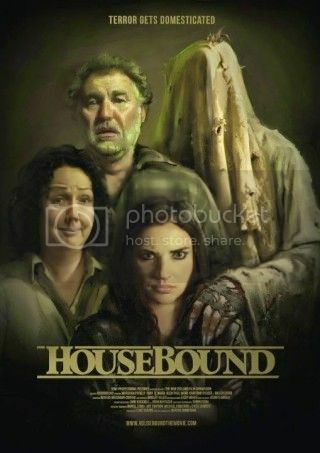 That description of Housebound is a mere taste of what it has to offer. This film has so much to offer with it's amazing combination of horror and comedy. Towards the end of the film, there's plenty of action with the tone leaning more to comedy, making you forget that you are watching a horror. Kylie is a great lead to watch during the film. She's an angry, punk rock girl with a slick mouth that she isn't afraid to use. Her mother, Miriam, is just as entertaining! She is delusional to almost everything that goes on and is a chatterbox that reminds me of Shaun's mom from Shaun of the Dead. Hopefully, I'm not the only one who thinks so! The security guard, Amos, is my favorite. He is hilarious! The film is fun but is filled with plenty of surprises that I refuse to reveal! Overall, I recommend Housebound because I really enjoyed it. I wish I would have watched it sooner. Housebound isn't a scary film. It will not give you nightmares, chills or make you question your existence. However, Housebound is filled with entertainment! It's mixed with mystery, comedy and dabbles of horror. The film had beautiful filming, editing, acting and plot twist. The ending was highly entertaining and very unexpected. Still not sure if you want to check out HOUSEBOUND? Check out the trailer!